1. Instagram has 800 million active users each month. The first thing you should know is that Instagram is a massive community. In September 2017, it has grown its monthly user base to 800 million – up from 600 million in 2016. This statistic shows that more and more people value Instagram. What’s not to love? Instagram allows us to share photos and videos (We are visual beings). It appeals to mobile users and nowadays, most people use their mobile device for social media. Users can interact with their friends and the brands they love. Best of all, Instagram is free to use. 2. 80% of Instagram users live outside the United States. Instagram announced that most of its users come from outside of the United States. You can imagine targeting this big user base. People who don’t know you can become your followers. Followers become paying customers. These wonderful benefits happen if you use Instagram the right way. 3. 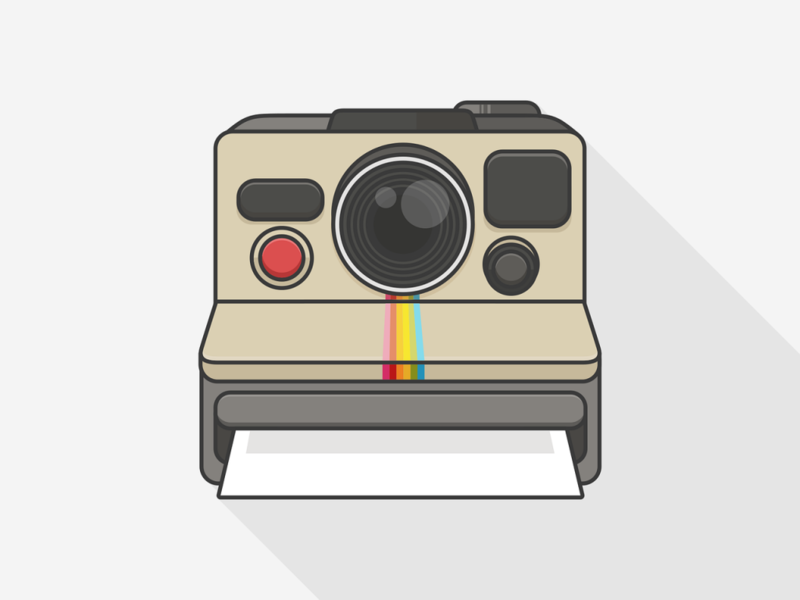 200 million Instagrammers visit a business profile each day. 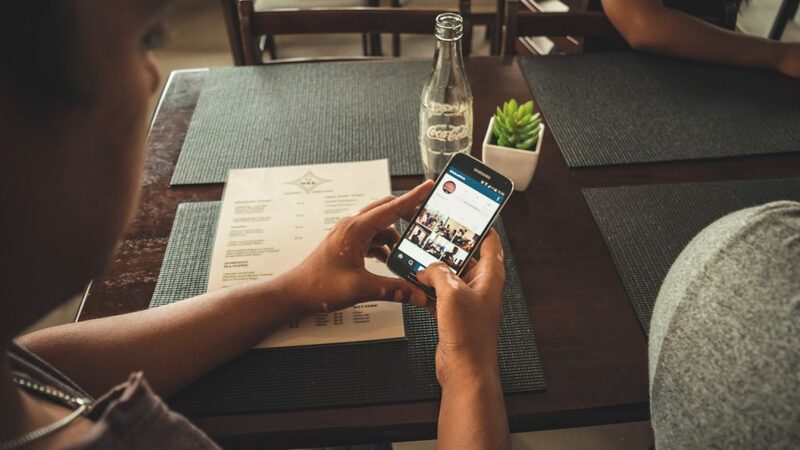 If you think you’ve got no chance to capture customers on Instagram, you’re mistaken. Data shows that 200 million individuals connect with brands. People use the platform because of their passions. A business owner like yourself can capitalize on these interests. 4. Instagram users have deep pockets. Do you struggle to attract profitable customers? Pew Research Center tells us that 30% of Instagram users earn $50,000-$74,999 a year. Start building an email list with Instagram and nurture your subscribers. The results will amaze you. 5. Posting daily tends to generate higher engagement. Tailwind conducted a study to know whether posting frequency affects engagement rate. By “engagement” we mean follower growth, likes, and comments. People who posted at least 7 times a week got more engagement. A lot of marketers hesitate to share more social media content to prevent turning off prospects. Tailwind’s study reveals the opposite. Receiving more engagement when you post often makes perfect sense since there’ll be something for customers to interact with. Because the truth is, most of your Instagram followers won’t see the content you put out every time. Increasing your post frequency creates more email subscribers. 1. Build a landing page. 2. Add the landing page URL to your Instagram bio. 3. Create posts that promote your Instagram bio link. Step 1: Build a landing page. I never heard of an Instagram list building campaign that didn’t use a landing page. The landing page is where people get to actually sign-up for your mailing list. Opt-in bribe/incentive/lead magnet – An opt-in bribe gives people a reason to sign-up. There’s a lot of incentives you can use. Whatever you offer, make sure it’s valuable, usable, and exclusive to your business. Killer headline – Center your headline around your opt-in bribe. To spark action, get straight to the point. If you run out of ideas, headline generator tools help you with the process. Persuasive copy – The rest of your landing page must explain your incentive, especially its benefits to your audience. Draw attention to those benefits by using a bullet point list. Compelling visuals – Images or videos show people what your offer looks like. You can also use these visual elements to demonstrate the use of a product. Genuine visuals (not stock photos) help you stand out as a business. Sign-up form – Use fewer form fields. More sign-up fields usually turn people off since they take more time to complete. The two most important pieces of information you should ask are the person’s name and email address. Let’s say you plan to launch an Instagram contest to grow your email list as fast as possible. The problem with most online contest campaigns is this: People arrive on your landing page, sign-up, get a hold of your lead magnet, and leave. Here’s the thing though: Having an awesome prize as a lead magnet isn’t always enough to generate hundreds to thousands of new subscribers. What if you could make each sign-up result in two or more sign-ups? Is that even possible? Yes, it is possible. A person who arrives on your landing page will share your landing page with their friends through a unique invite link. Doing so will boost their chances of winning your incentive. Their friends will also share your landing page with more friends for the same reason. Step 2: Add the landing page URL to your Instagram bio. Landing pages are useless if there is no way to lead people to them. Since you’ll be driving people from Instagram, it only makes sense to feature your landing page link in your bio. Your bio is the only place where random visitors and followers can click through to sign-up for your mailing list – unless, of course, you use Instagram ads. 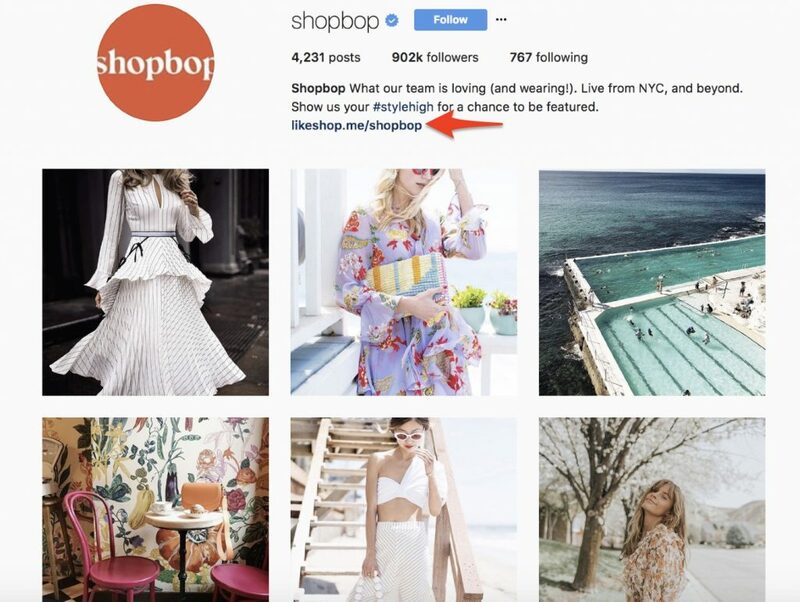 In this example, let’s be clear that Shopbop isn’t running a list building campaign, but a user-generated content campaign. Write a call-to-action that gives followers an idea of what they’re going to expect if they click the link. Use actionable language in your CTA. Shopbop’s CTA, “Show us your #stylehigh for a chance to be featured” gives followers a clear direction of what they should do. If you are running an Instagram contest to collect email subscribers, bio hashtags increase awareness for your campaign. Treat your Instagram bio as a prime location for persuading your audience to take a specific action. Remember, it’s the only place to include a clickable link. Make sure to use the strategies above to maximize your bio for list building. Step 3: Create posts that promote your Instagram bio link. How do you increase traffic to your Instagram bio? Posts are an effective means of driving attention to your bio since Instagram users interact with posts one-on-one. Instagram News Feed is populated with posts, and this gives you the opportunity to create posts that stand out. 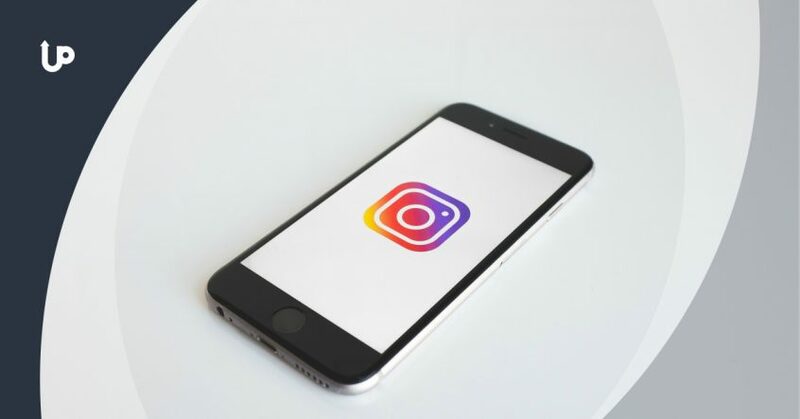 What follows are examples of stunning Instagram posts to inspire your next list building campaign. 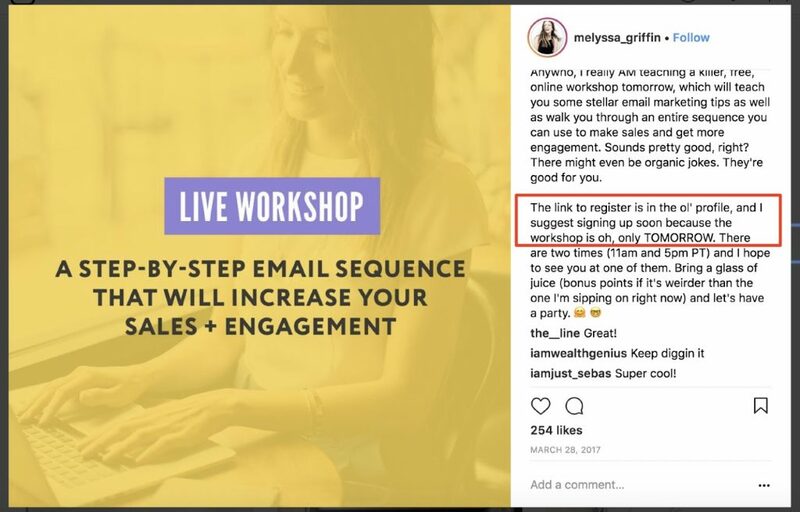 Melyssa Griffin invites her followers to join her live workshop by posting a photo of herself with an overlaid text: “Live Workshop: A Step-by-Step Email Sequence That Will Increase Your Sales + Engagement. In her caption, she instills urgency by telling followers to sign up soon (via the registration link in her bio) since her workshop is only available for a day. Asking for more comments – To boost her engagement rates, Sunny asks her followers to leave comments if they’re in. If you want to get more post comments, you need to ask. Be straightforward like Sunny (“COMMENT below if you’re in! !”) or ask a question that gets responses. Relevant hashtags – Use hashtags that attract audiences who are likely to be interested in your content. This increases your chance to get email signups from qualified prospects. 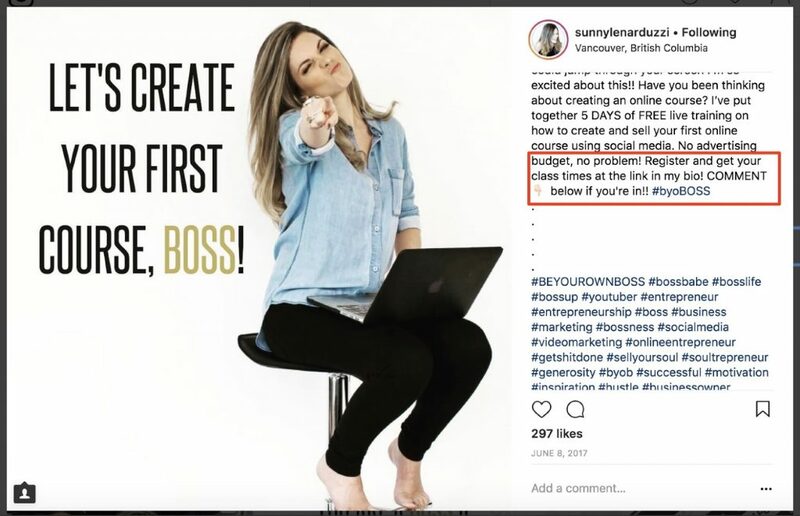 Sunny uses hashtags like #BEYOUROWNBOSS and #videomarketing. Natalie MacNeil offers her followers a 10-day free coaching program. 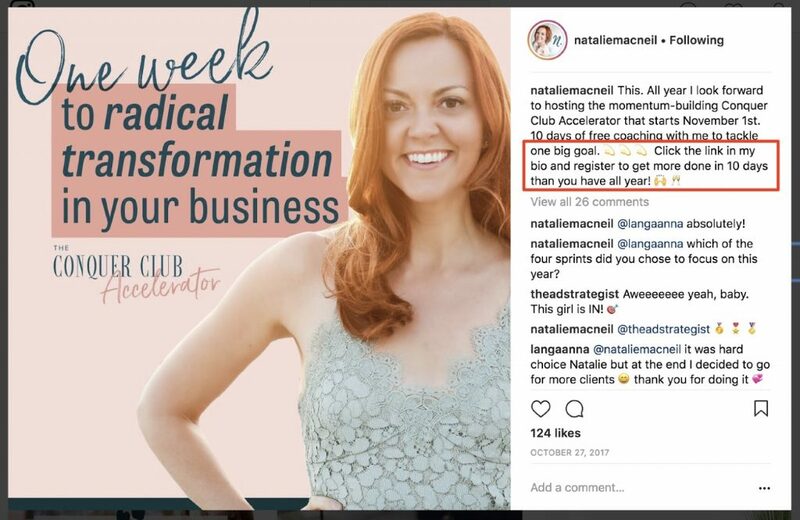 She uses a text overlay for her image that reads “One week to radical transformation in your business.” Her copy is powerful because it’s time-sensitive (“one week”) and benefit-driven (“radical transformation”). Not just that, Natalie responds to comments, even asking questions, to further increase her engagement. Current stats show that Instagram will be here to stay. It’s a prime platform to start a list building campaign – thanks to its visual nature, user base, and engagement levels. You need only three simple steps to quickly grow your email list on Instagram. After all your efforts, don’t forget to track your clicks in your analytics. 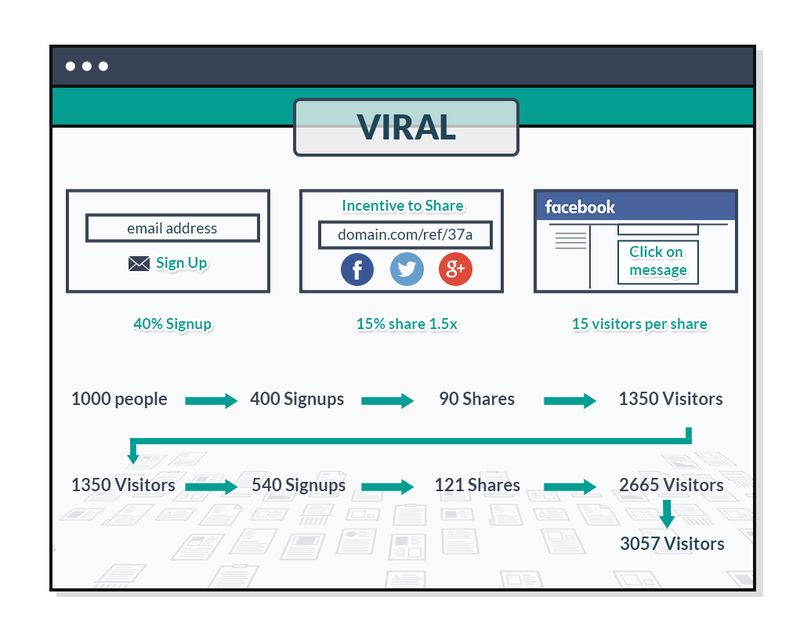 Last but not the least, remember that you can make your landing page go viral so you can double or triple the number of subscribers you attract each time.